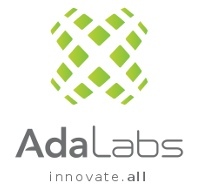 The 19th International Conference on Reliable Software Technologies – Ada-Europe 2014 will take place in Paris, France. As per its traditional style, the conference will span a full week, including, from Tuesday to Thursday, three days of parallel scientific, technical and industrial programs, along with tutorials and workshops on Monday and Friday. The conference will provide an international forum for researchers, developers and users of reliable software technologies all over the world. Presentations and discussions cover applied and theoretical work currently conducted to support, the development and maintenance of reliable software systems. The proceedings will be published by Springer in "Lecture Notes in Computer Science (LNCS)", volume 8454. The menu on the left gives access to early information. Note that greyed items are not yet available and will be activated in due time. We look forward to seeing you in Paris in June! It is still time to register! You can pay on the web site by credit card, or directly by check at the registration desk. See you! And for those who don't want to miss current big event... Go and check the page! You now have up to June 8th to benefit of a 60€ discount on the full conference. Register quickly and save! You may now register to DeCPS and WMCIS as well. Don't delay! We are pleased to acknowledge our sponsors who will be exhibiting during the conference. Access to the exhibition is free, but registration is required. New deadline is May, 9th. Click here for details. Great events, more reasons to attend! Now is the time to start registering to the conference. Register before May 31st, and get a 60€ discount! And see the keynote talk and the content of sessions. Have a look at our 10 exciting tutorials given by famous experts. Paris in June is very busy! Book early from our list of nearby hotels. June 27th: Workshop on Mixed Criticality Systems: Challenges of Mixed Criticality approaches and benefits for the industry , organized by ECE. 12 high quality papers selected out of 37 submissions (an acceptance ratio little over 30%), 12 exciting tutorials, 6 industrial presentations (out of 12 submitted), special sessions about the past and future of GNAT, and more... A great program, details published soon! 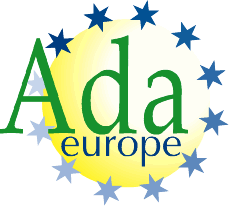 The conference is supported and sponsored by Ada-Europe, Ada France and in cooperation with ACM SIGAda, SIGBED, SIGPLAN.